Happy Mother’s Day to all mothers & mother-to-be in the world! This Mother’s Day, we decided to beat the crowd and have the celebration on Friday instead of Sunday. Initially we have planned for a dinner outside but Dad and Mum decided to have it at home instead since Dad has been feeling very fatigue these days. 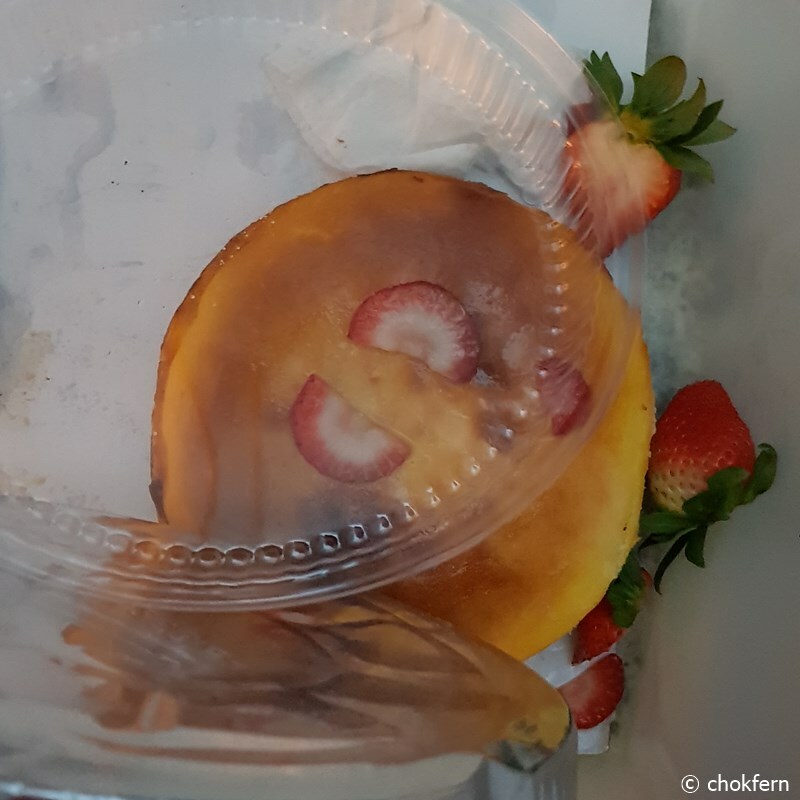 So then I decided to bake a cake and spend my lovely morning to do up an ugly Cheesecake which mum have been saying she wanted to make herself… and after cleaning up my messy home in the afternoon I decided to have went out to buy some fruits to decorate the ugly cake. 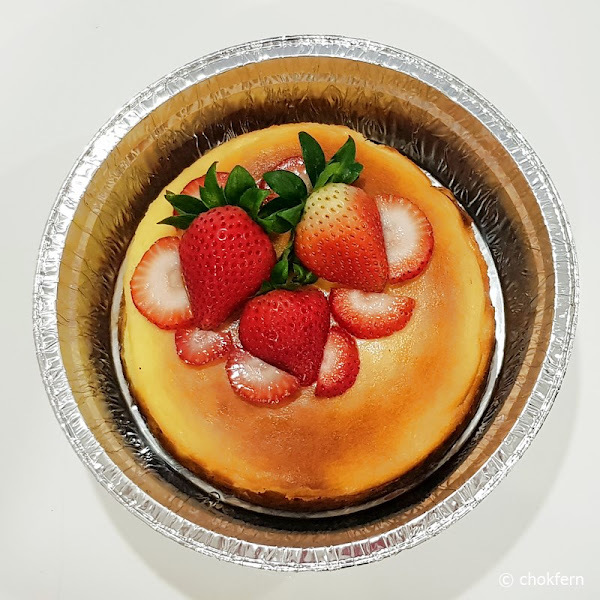 I was pretty proud of myself for able to come up with such a cake which at least Kpo Kia bother to ‘WOW!’ and ‘I want eat cake!’ at it. All goes down the drain. Bye bye, cake! I have to throw this after I got down the cab. Sad die me. Despite me trying to explained to her that the cake is gone and we will not have cake for tonight celebration anymore, she repeated like a broken recorder ‘No more po po cake?’, ‘I want eat po po cake’, ‘Po po cake on the floor.’, ‘ Oh, strawberry on floor, cake on floor’… Dear Kpo Kia… Mummy’s heart is bleeding and you still ask such questions, double bleed leh! And so Mum only have a small present (partial) done by Kpo Kia. She have choosen all the embellishment and most of them are pasted by her personally. 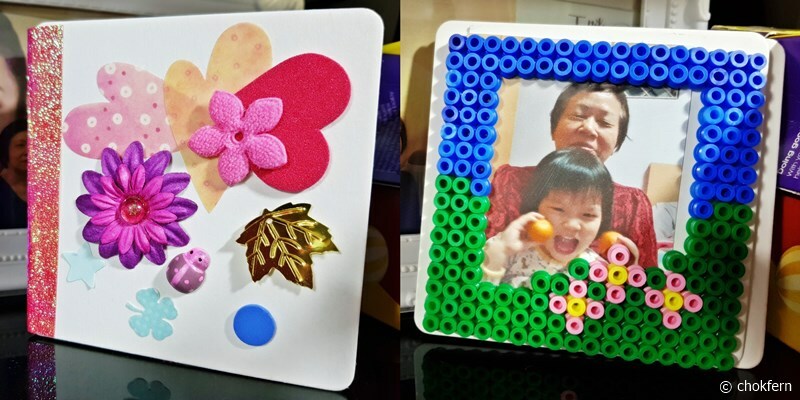 Inside is a Hama bead photo frame which I had made, plus a photo of Kpo Kia and Kpo Kia Mama’s mama. Hope Kpo Kia Mama’s mama like this present and no matter what happened, Keep Calm and celebrate Mother’s day.